Those who are aspiring to be a Cisco CCIE Routing and Switching and are quite anxious about the version 5. Most of them are thinking how the lab will be? What kind of topology will they face in the lab? It quite too early to anticipate more details about the Cisco CCIE Routing and Switching Version 5 Lab. June 4 2014 is going to reveal more details. Meanwhile to guide the Cisco CCIE Routing and Switching Version 5 aspirers, Cisco Press released their first series of CCIE study materials on 27th of Feb 2014. The Cisco CCIE Routing and Switching v5.0 Configuration Practice Labs comes with three full configuration lab scenarios in the CCIE R & S V5 exam format. This will certainly give you an idea how the CCIE R & S V5 lab may be. The sample chapter really looks amazing and from that I could see its ideal to have Six Cisco Routers loaded with Cisco IOS Software Release 15.3 T Advance Enterprise and Four Cisco 3560 X Switches with IPS 15.0S IP Services. I will certainly come out with the detail review of the Cisco CCIE Routing and Switching v5.0 Configuration Practice Labs and do let you know how this title will assist you all in achieving your dream of Cisco CCIE Routing and Switching. Meanwhile you can buy this title online at Cisco Press store and start the journey of CCIE in practical terms. 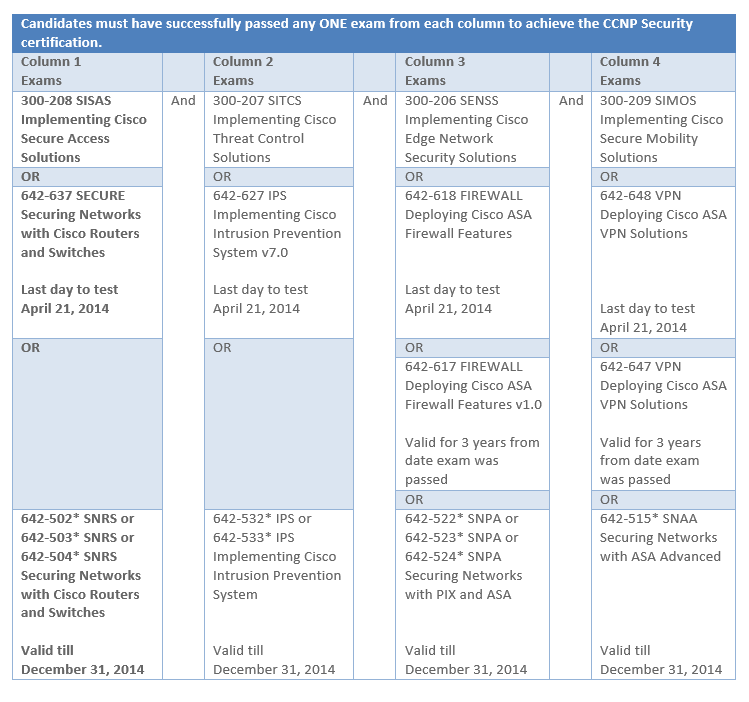 Cisco with draws current CCNP Security curriculum by announcing the new set of Cisco CCNP Security exams namely 300-206 SENSS, 300-207 SITCS, 300-208 SISAS and 300-209 SIMOS respectively. All the previous CCNP Security exams. 642-637 SECURE v1, 642-617 FIREWALL v1.0, 642-647 VPN v1.0, 642-627 IPS v7.0 will be available to the CCNP Security aspirers till 21st April, 2014. The newly introduced CCNP Security certification reflects the skills and responsibilities required of today’s network security engineers, who increasingly require a holistic end-to-end understanding of a complete security posture. Cisco is offering following training courses to CCNP Security aspirer worldwide. I believe the current security evolution with the invent of Cloud, Big Data, third platform and especially the emergence of Next Generation Firewalls made Cisco rethink their strategy towards CCNP Security Certifications. 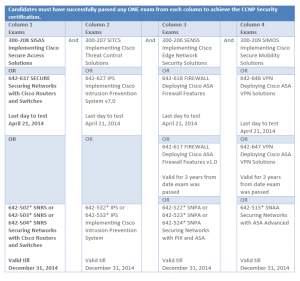 Soon we can expect many titles popping out from Cisco Press for the CCNP Security preparation. It’s a known fact that there is a huge demand for cybersecurity experts, in fact it’s been estimated that the demand for cybersecurity experts growing at 12 times the overall job market. Cisco always wants to stay ahead in race so they came out with a new Cisco Cybersecurity Specialist certification which provides the essential skills for network security analysts who specialize in proactive network security threat detection and mitigation. The prerequisite for the Cisco Cybersecurity Specialist certification is a Cisco CCNA Security certification. Yesterday Cisco announced that they started shipping out their newly introduced Catalyst 6800 Series Switches. Currently they are shipping the Cisco Catalyst 6807-XL and 6880-X Switches. We all know when it comes to Campus backbone switches Cisco Catalyst 6500 Series Switches ruled the industry for more than decade. 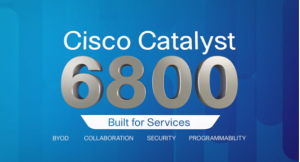 I wish Catalyst 6800 family a successful journey and I am pretty sure like Cisco Catalyst 6500 Series switches it’s going to rule the Campus Backbone Category of Switches for coming decade. I have been trying hard to book a slot for CCIE Routing and switching version 4 lab any time after March 2014, it’s quite hard to find. 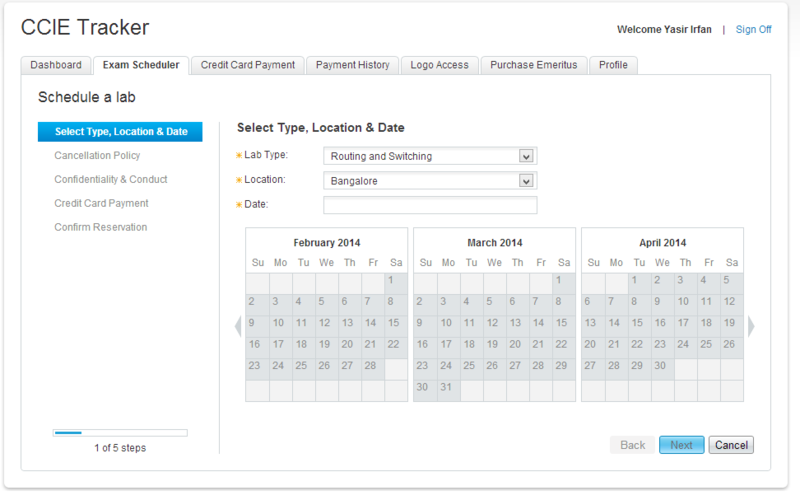 I did not even find a single slot either in Bangalore or Dubai. 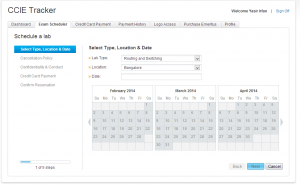 All slots from January 2014 to June 3 2014 are occupied. I thought to try my luck in other locations unfortunately I am ran out of luck. This is quite scary for those who are trying hard to attempt the CCIE R & S version 4 lab. The only suggestion I have is book the slot as it’s available and don’t delay. I am hopeful of finding at least one slot. As planned Cisco is offering CCIE R & S version 5 labs from June 4 2014. Those who are preparing for CCIE R & S version please don’t be panic or dishearten your efforts will not be wasted. This preparation will certainly help you all to achieve the most prestigious Networking Certification CCIE Routing & Switching. If you find any slots please do comment so that many of the CCIE aspires get benefited. Its official now, Cisco announced the much awaited update for CCIE Routing and Switching from version 4 to 5. It’s a good move as CCIE R & S version 5 is there since pretty long time. The official launch for the version 5 happens to be on June 4th 2014. This brings a great relief for those who are preparing hard and almost very close to appear for the lab exam. Coolly there is a window of months for people like me to prepare and appear for the version 4 of the Routing and Switching lab exam. As far as frame relay was concerned it was expected from to see its exit from the new version. Now here comes the challenge for CCIE training companies and Cisco press to come out with a quality study material and topology. I request you all go through the announcement made for further details. CCDE Practical exams to be conducted in more locations worldwide. When it comes to CCDE practical exams currently we are all restricted to location like San Jose, Chicago, London, etc., starting February 2014 things are going to change, and Cisco will be offering CCDE practical exams at all Pearson Professional Centers (PPCs) worldwide. From 8 Centers to 225 centers is a great move from Cisco soon we are going to see the numbers CCDE’s increasing worldwide. One great thing Cisco introduced is that can take lunch break on their own time after finishing the second scenario in the exam, where previously they were required to wait until the set lunchtime was finished before continuing on with section 3. The specific announcement from Cisco is below, along with the link to the CCDE page which outlines exactly where the new locations will be. • An intuitive graphical user interface to help you configure, tune, and manage Cisco IPS sensors, Cisco Advanced Inspection and Prevention Security Services Modules, Cisco Catalyst 6500 Series Intrusion Detection System Modules, Cisco IDS Network Modules, and Cisco IOS IPS modules. • Powerful monitoring and reporting tools, including a real-time event viewer for troubleshooting and top reports for security auditing and compliance purposes. • Flexible device management options for up to 10 IPS devices within a single GUI. 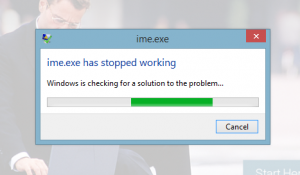 We are waiting for the feedback from Cisco hopefully they will come out with a new version Cisco IPS Manager Express (IME) which can run on Windows 8.1 Pro. The updated version of CCIE R & S seems to be a 100% virtual lab environment similar to the current troubleshooting section of CCIE R & S lab. Some older legacy technologies like frame relay is expected to be removed along with some least used IOS features like Zone- Based Firewall, WCCP, IPv6 Multicast and PfR also topics like IPSec, DMVPN and Embedded Packet Capture are expected to be added in the new blue print. The current lab exam comprises of two sections, a 2 hours troubleshooting section and a 6 hour configuration section. Apart from these two sections a new section is expected to be included in the lab exam called diagnostic section. Well time will reveal more details on the format and scoring of the lab exam. Those who are planning to appear for the lab exam in near future it is highly recommended for them to schedule their exam before March 2014 as it’s expected that starting March 1st new version my replace the current version 4 exam. Well I see this a great initiative from Cisco to update the much awaited CCIE Routing and Switching Certification track. I suggest all those CCIE Routing and Switching aspires to keep updated with latest developments and follow INE blog and Cisco Learning Network as this is the place where the news break first. Meanwhile I will try to keep you all updated with the latest development. Recently I was upgrading our Cisco Nexus 7010 Switch NX-OS version from 5.0 (3) to 6.1 (4). After the upgrade process when I used the NX-OS command “show system redundancy status” to check the high availability of Nexus Supervisor module-1X Engines I discovered one of them was just power up but not under operation in Standby mode. Upon issuing the “attach module 5” I ran again the NX-OS command “show system redundancy status” to check the HA between Nexus Supervisor module-1X Engines and discovered that the redundancy state was in standby mode and the Internal State was under synchronization process. Again I checked the system redundancy state and discovered module 5 was in standby mode. In upcoming posts I will discuss the challenges I faced to upgrade Nexus 7010 Switch NX-OS version from 5.0 (3) to 6.1 (4).